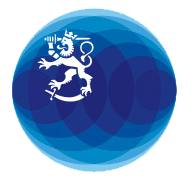 In addition, The League of Finnish American Societies, which has 9,000 members in Finland and the United States, operates from Finland. The organization publishes a quarterly member magazine called Suomi-USA. Finnish Organizations in the U.S.
We are very proud of the many active Finnish-American communities in the United States. In the 1990 Census, there were 178 000 people in this area who considered themselves Finnish-American! Below is a list of Finnish-American organizations in the U.S. known to us. If your organization is missing, or if you would like to report a website or a change of address, please contact us at [email protected], or telephone 202 298 5800.